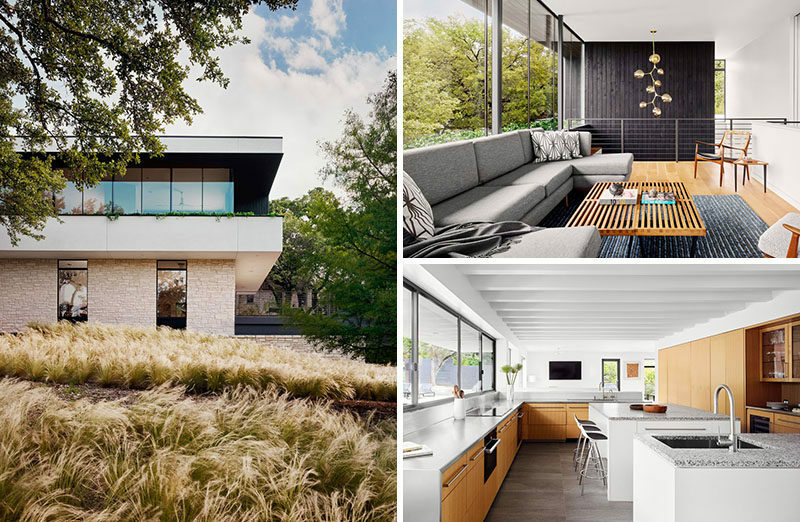 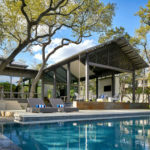 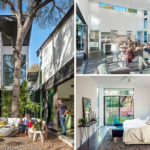 Specht Architects have completed the renovation of a 1955 suburban ranch home in Austin, Texas, that also included a new second storey addition. 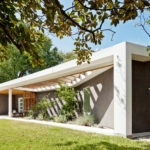 The original house (designed by Page Sullivan Page in the 1950’s) was a sprawling single-story home that had small windows and was clad entirely in Texas limestone. 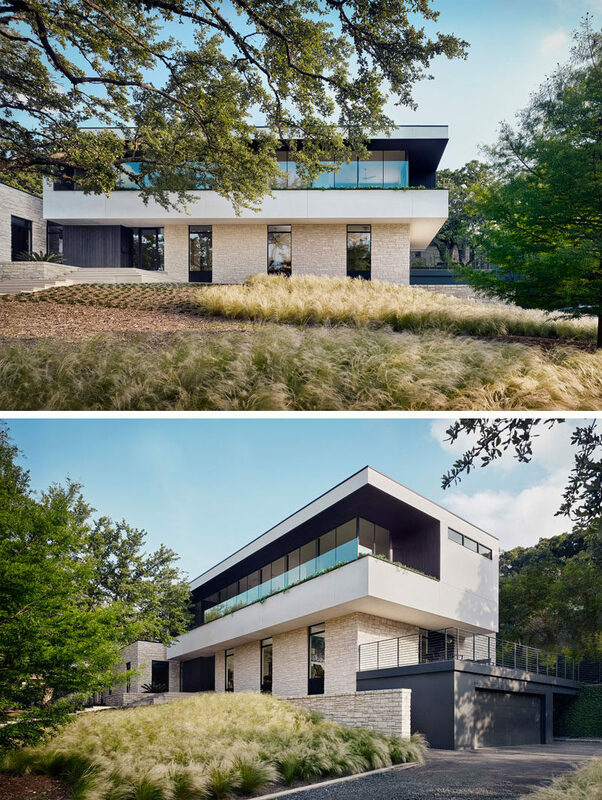 The updated house features a cantilevered second storey with walls of glass and a continuous planter wall. 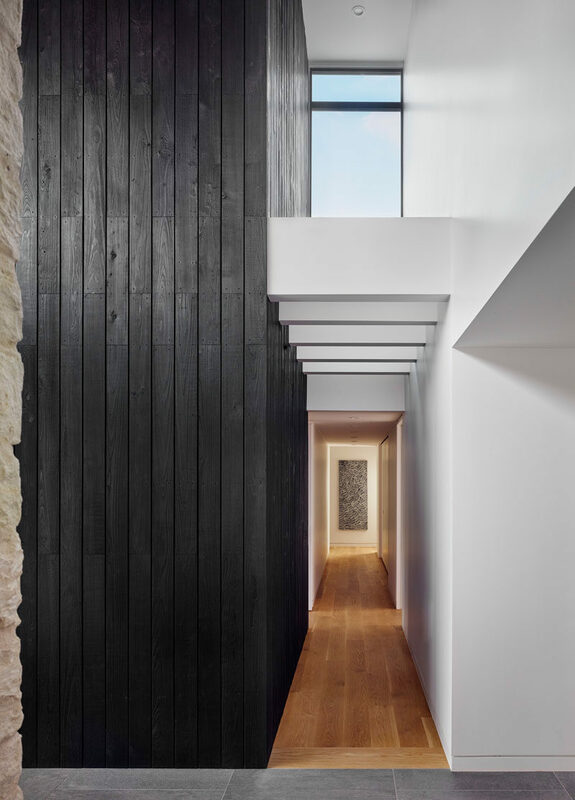 Inside a double-height vaulted entryway with a shou sugi ban accent, welcomes guests and guides them to the various areas of the house. 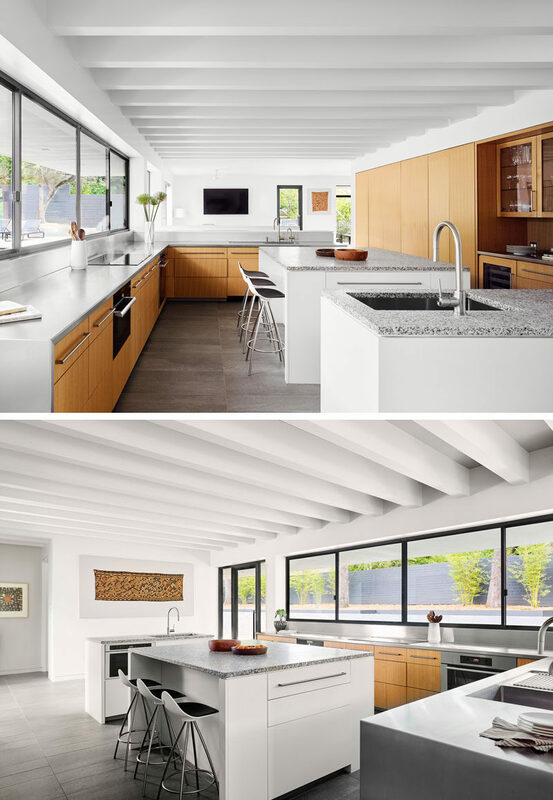 The lower floor of the home is where you’ll find the large kitchen with countertop-height serving windows that open out onto a pool terrace and entertaining area. 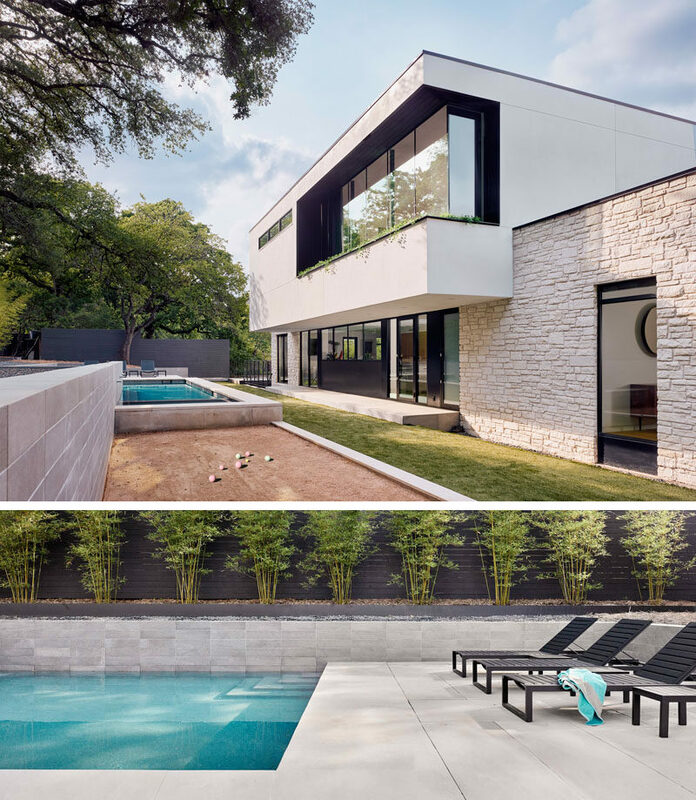 The backyard has a variety of levels with a bocce court and a swimming pool. 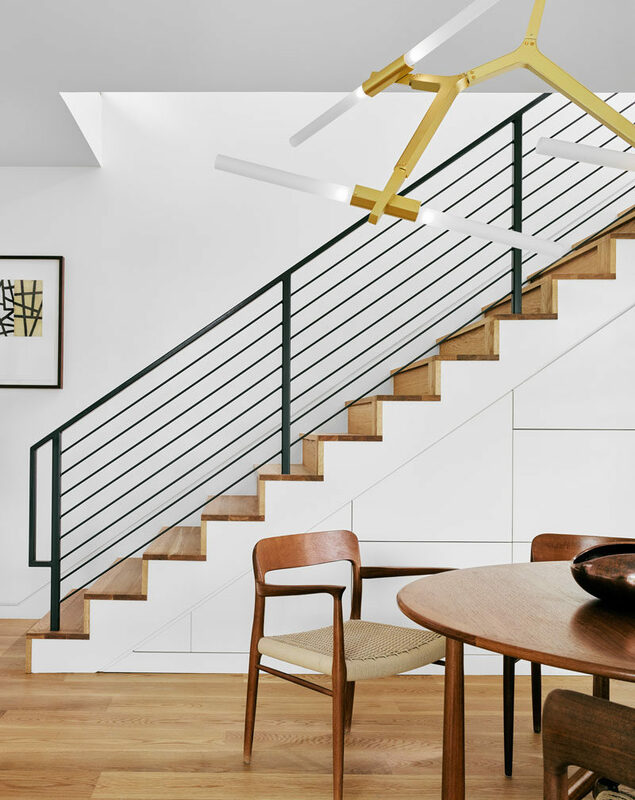 Back inside, and there’s a dining area with a round table and an artistic chandelier, that are adjacent to the stairs. 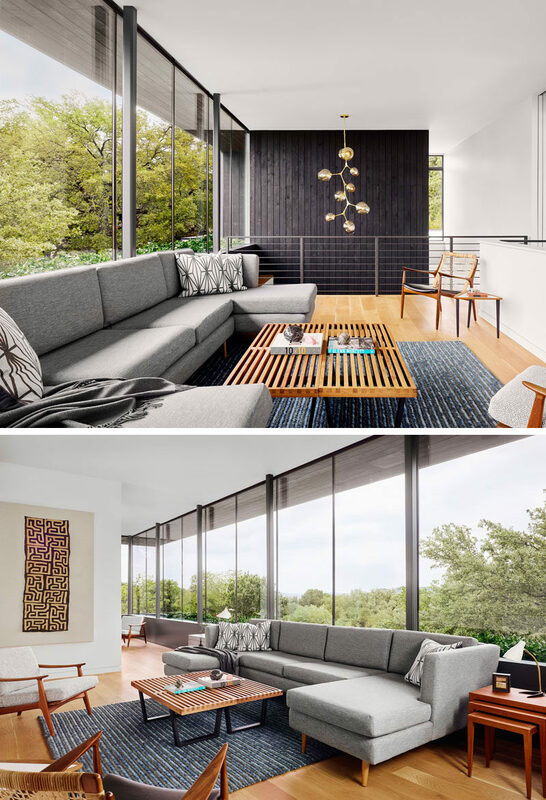 At the top of the stairs is a living room that’s flooded with natural light from the large windows. 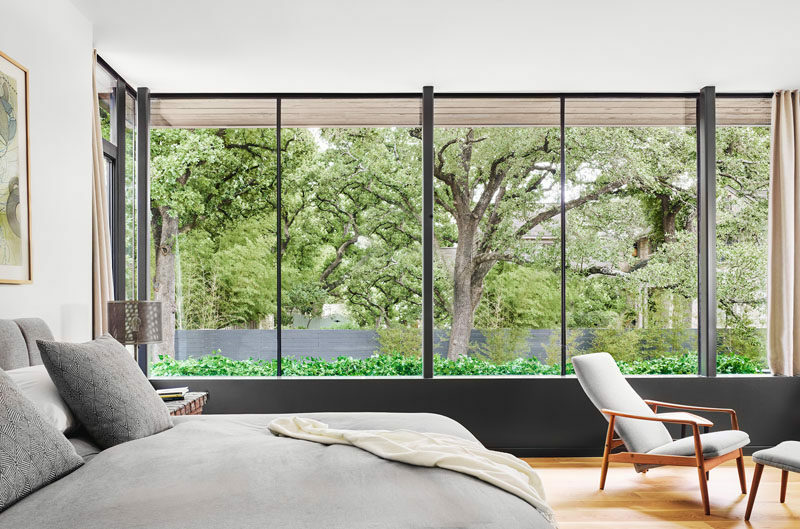 The windows continue through to the bedroom and provide views of the planters and the trees in the distance.